From direct RCA* lineage comes the best of the vintage style ribbon sound. 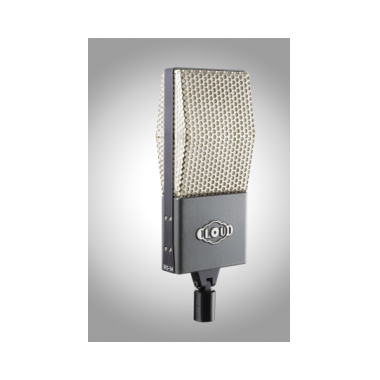 Handcrafted entirely in the US, the JRS-34-P combines the best attributes of vintage and modern technologies to create a high-quality ribbon microphone ideally suited for music and voice. 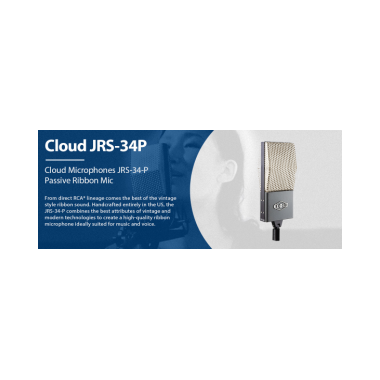 The JRS-34-P, like other passive ribbon microphones, requires a high-gain preamp -or a Cloud Microphones Cloudlifter® product. Included is a beautiful handcrafted wooden box and a microfiber mic cover, designed to properly store and clean the microphone. 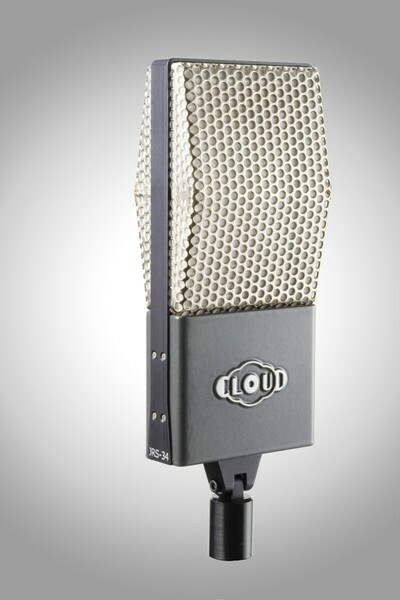 Designed in collaboration with Stephen Sank, the Cloud® ribbon mics were given the model number prefix JRS in homage to the late Jon R. Sank, Stephen Sank’s father (1934-1998). Known for his work with RCA that produced legendary microphones such as the BK-11 and BK-10A, the senior Sank succeeded RCA’s Harry Olson as the guiding force behind the company’s continuing development of ribbon microphones. Built upon the shoulders of giant RCA mics, each JRS-34 ribbon is cut, corrugated, and installed by hand in precisely the same fashion as prescribed by Olson. New ideas expand the performance capabilities as well, bringing the design into the 21st century with the addition of custom audio transformers by CineMag Inc., patented rounded magnet technology, internal spring mounted suspension, and more. 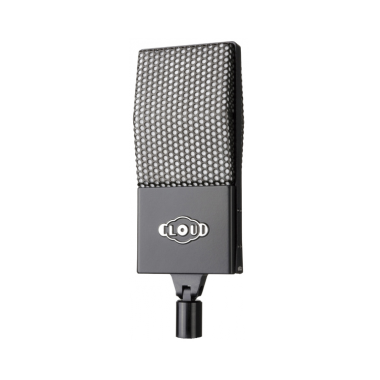 In this video, Cloud Microphones of Tucson, Arizona, a manufacturer of hand crafted ribbon microphones used by artists and professionals worldwide. Cloud Microphones is an active client of the U.S. Commercial Service – Tucson, Arizona office, and has tapped numerous Commerce Department programs to support their international expansion. The company has achieved a staggering 427% increase in international sales in the past two years, and attributes this success, in part, to support provided by the U.S. Commercial Service. When Cloud Microphones examined its manufacturing strategy, the company was determined to source locally and partnered with the Tooh Dineh manufacturing within the Navajo Nation. This decision helped bring vital, well-paying jobs to a community where unemployment levels hover around 47%. The Navajo Nation extends into the states of Arizona, Colorado, New Mexico, and Utah, covering over 27,000 square miles. Diné Bikéyah, or Navajoland, is larger than 10 of the 50 states in America. It is the largest land area retained by a U.S. tribe. Both Cloud Microphones and the Navajo Nation enthusiastically supported this video project and welcome any follow up inquires that the Department might have.